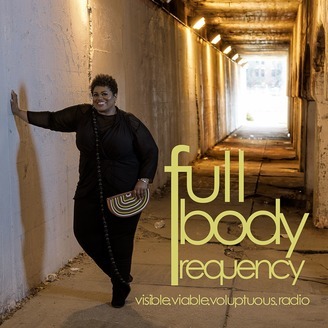 Full Body Frequency: Tune in to my one-hour, weekly radio show talking fashion and beauty, art and culture, health and wellness, travel, and love in celebration of the lives of full-figured, fabulous women everywhere! #PlusSize A production of The Power of Voices Radio, Los Angeles, CA. www.thepowerofvoices.com. 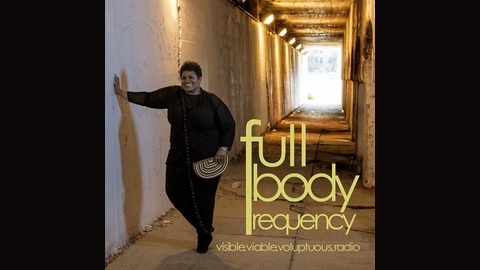 Full Body Frequency Episode 221 This past year we’ve been exploring many facets of dating, relationships, and love. And, although we are wrapping up our year-long series on wedding planning, don’t worry, we’ll have more from the experts featured on today’s show in the future. We’re talking top wedding trends from technology to shared floral arrangements with Pretty Pear Bride’s Editor-in-Chief Shafonne Myers. Pretty Pear Bride is the world’s ONLY magazine for plus-size brides. Throughout her wedding planning process LaNita Pearson of One Curvy Bride has graciously allowed us to follow her. She’s newly married and here to share highlights from her Great Gatsby nuptials. Rounding out the show is Shannelle Armstrong-Fowler, owner of Haute & Co. Bridal Boutique, one of the country’s leading plus size and curvy bridal salons. Shannelle talks the fashion, fit, and financials of full-figured wedding gowns. PLUS, Shannelle makes a MAJOR announcement regarding her newly expanded boutique. Pretty Pear Bride: http://prettypearbride.com/ One Curvy Bride: https://teespring.com/stores/onecurvybride Haute & Co. Bridal Boutique: http://hauteandco.com/ Connect with Full Body Frequency: https://www.instagram.com/fullbodyfrequency/ https://twitter.com/lauraricedesign https://www.facebook.com/FULLBODYFREQUENCY/ Full Body Frequency is a production of The Power of Voices, http://thepowerofvoices.com/, Los Angeles, CA.